Ran across this old Circus Magazine article. 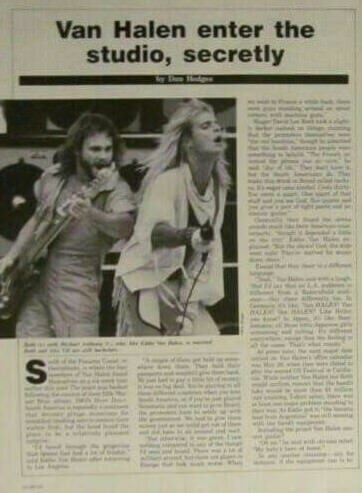 Unfortunately too blurry to read other than the headline, but figured worth posting for the cool picture of Dave & Mike. It's from the '81 show @ Tangerine Bowl in Florida opening for The Stones. I wrote and recorded a demo using my former drummer's title as the template, similar to the VH III era where Ed said he wrote music around Cherone's lyrics... Minus the talent, gear, fame, etc! The song? 'Damn You'. 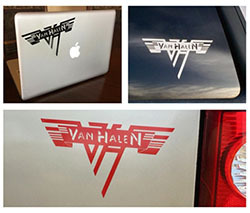 As in, damn...., I saw this thread title and got really excited for new VH news! I should've known... (Not a slight on you, btw, but the band itself).